Looks great. Very classy look. Illuminate your space with a touch of contemporary style. 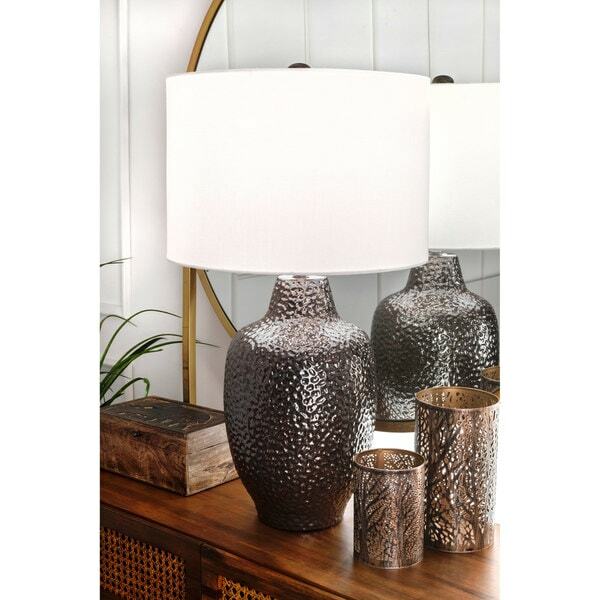 Warm and luminous, with a bronze vase base, this lamp will make a refreshing and stylish addition to your space. 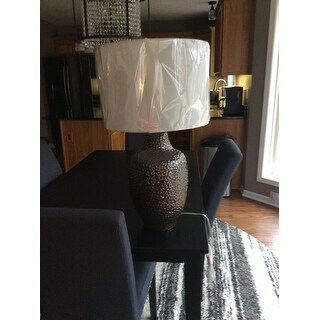 This lamp is beautiful and is a statement piece in our family room. It looks beautiful on our sofa table. I would definitely buy this lamp again. 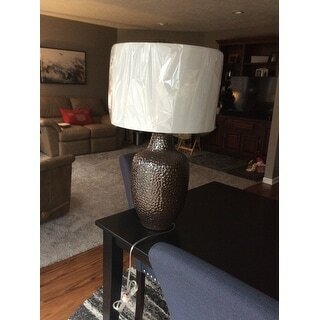 loved the look of the lamp when I ordered it. When I received it - the lamp was broken, due to bad packaging by the vendor. It would have looked perfect for the kitchen. I did not want to re-order in fear of receiving another damaged lamp. Overstock were very helpful. Please tell the vendor to ensure sufficient packaging material so that someone does not experience this situation. It was gorgeous in person. It was better than I thought. It looks great in my family room. Well worth the money. I would recommend it. So much more than I expected! A very sturdy piece and just beautiful! Came in perfect condition and I wouldn’t hesitate to buy again. It is a large lamp so measure your area before purchasing. "How tall is it? More than 23 inches covers a lot of ground!"